Unleash the WostingSM! One Platform To Rule Them All! 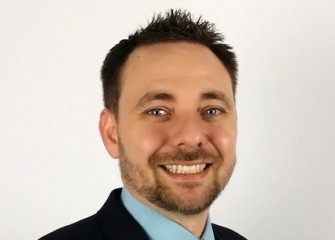 These galvanizing catch phrases bring to life what Michael Spinosa, CEO of Unleashed Technologies is passionate about: integrating websites with critical business applications to deliver consistent experiences to online visitors and high performance results for clients. They almost sound like battle cries lifted from an extreme sports playbook. Not surprising, since competitive paintball just happens to be one of Mike’s life passions. Unleashed Technologies specializes in using powerful, cost effective open source technologies as a single source provider for enterprise technology and design solutions, combining web design and development solutions with core IT support. Their industry focus includes non-profits (including military), professional services, retail, and publications. Mike and his Unleashed team rule, indeed. Five hundred and fifty-seven percent three-year growth places the company in the top 20 percent of the Inc. 500|5000. For 2013, Unleashed was awarded Best Drupal Site, Best Nonprofit Site, Best Media Site. Ditto for 2012, plus a few more. Wondering about “Wosting? ?” Mike will explain. Check out our interview with Michael Spinosa on city biz list, by clicking here.